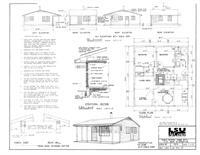 Plans for a 2-bedroom gable-roofed cabin with a flat roof alternative. Cabin measures 22 x 24 ft, with loft, double 2 x 6 rafters and raised wood floor. This A Frame cabin measures 24 x 24 ft and has an outdoor deck, double 2 x 10 rafters, raised wood floor. 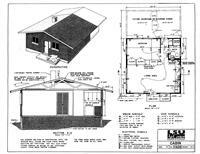 Design for a 24 x 24 ft one-bedroom, one-bath wooden building or a wood cabin with a possible 12 x 24 ft addition. 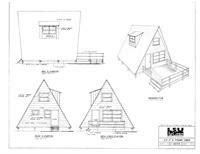 Design plans for a 24 x 24 ft one-bedroom A frame cabin with a 12 x 16 ft deck. 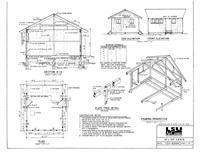 A one bedroom cabin, measuring 24 x 24 ft, gable roof, pole frame, batten siding and raised wood floor.